Nagaland Governor PB Acharya inaugurated the Children's Science Congress on the second day of the ongoing 105th edition of the Indian Science Congress at Manipur University, Canchipur, 5 km south of Imphal town Saturday. 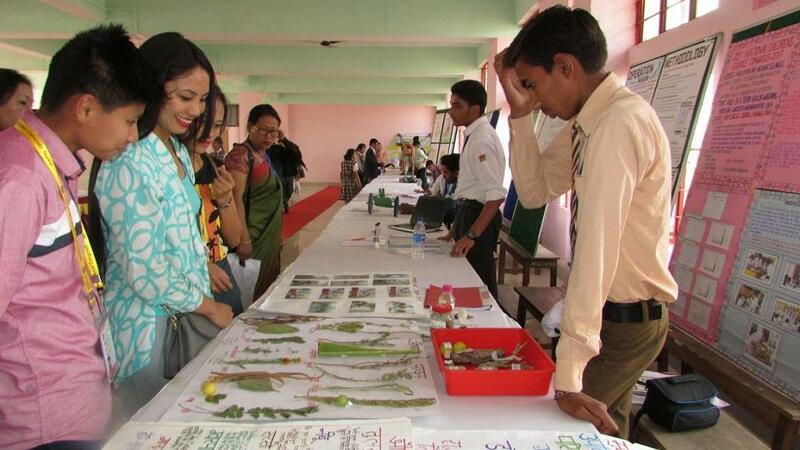 Soon after the formal inauguration, a poster painting competition, science model competition for the state (schools) students, model demonstration for non-competitors were organised at the MIT block of the Manipur University. 150 students from various local schools participated in the poster painting competition held under the theme Solid Waste Management, and around 40 students demonstrated their scientific models for the state level competition section. 32 students, including 29 from Telangana displayed their models in the non-competition section. Besides 16 selected students under the Directorate of Science and Technology from across the country demonstrated their projects developed and designed for a better life. N Mohilal of Manipur University's life science department, who is also the convener-in-charge of the holding the programme said that the competition of model and projects will continue till tomorrow and those who bagged the first three positions will be given cash prizes as well citations. Similarly, those who won first three positions in the poster painting competitions will also be equally awarded.